In Malbork we can see the elements of small archtecture: aluminum coins. 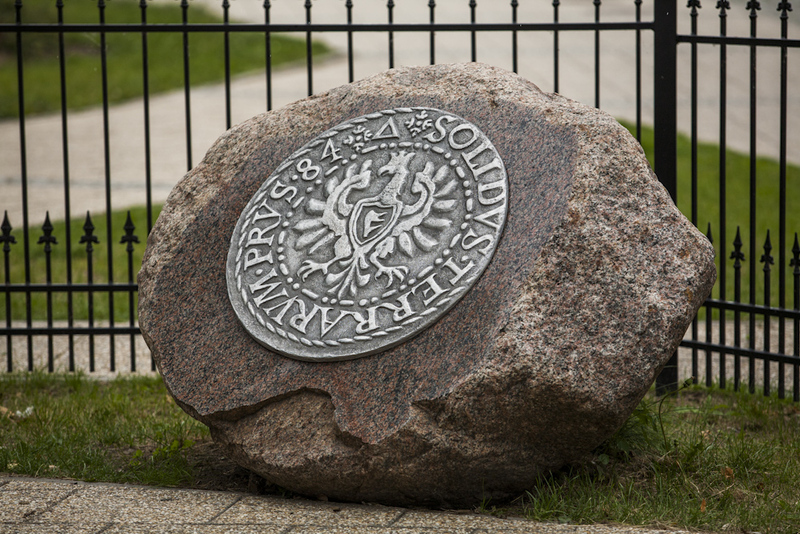 Three coins are attached to specially designed stones, while the other two can be found on the sidewalks in Kazimierz Jagiellończyk Square. The coins have been struck to commemorate Malbork’s former mint, which operated in five historical periods, and produced Teutonic coins (twice), Polish coins (also twice), and Lithuanian (once). The coins are one-sided and present the obverse and reverse of the shilling of Konrad von Jungingen and the obverse of the shilling of Stephen Bathory.